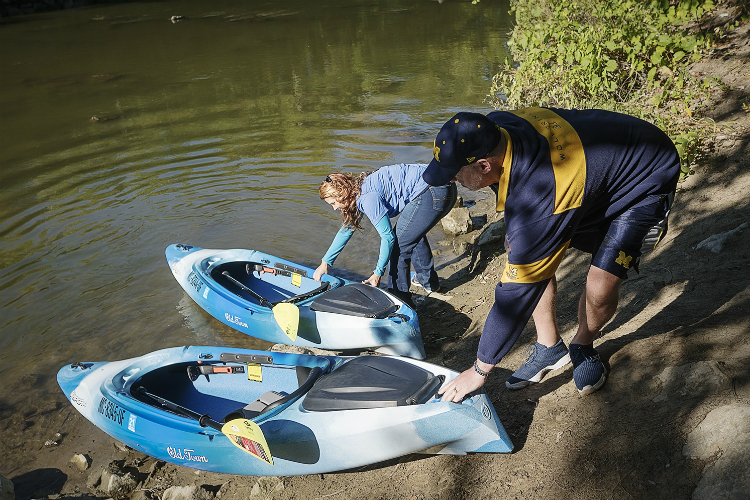 FLINT, Michigan — After successfully testing the waters this year, Kayak Flint will return next spring with a full season of kayak rentals available on the Flint River. 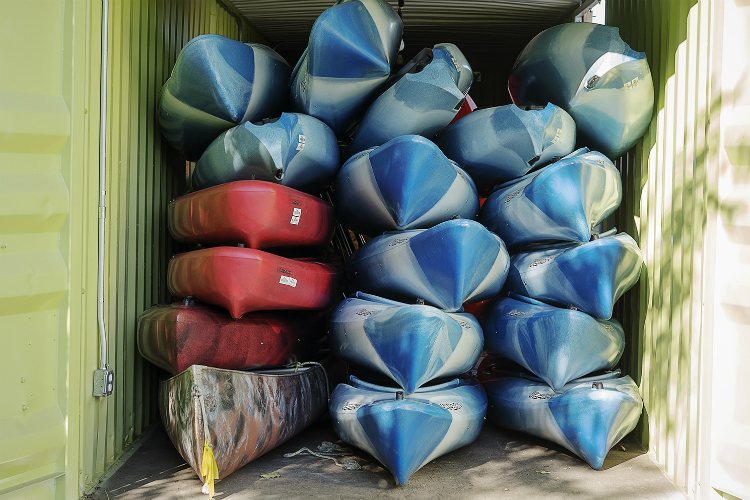 The unique urban kayaking experience started as a popup business this year with rentals and shuttle service available for four weekends through the Flint River Watershed Coalition, Corridor Alliance chapter. 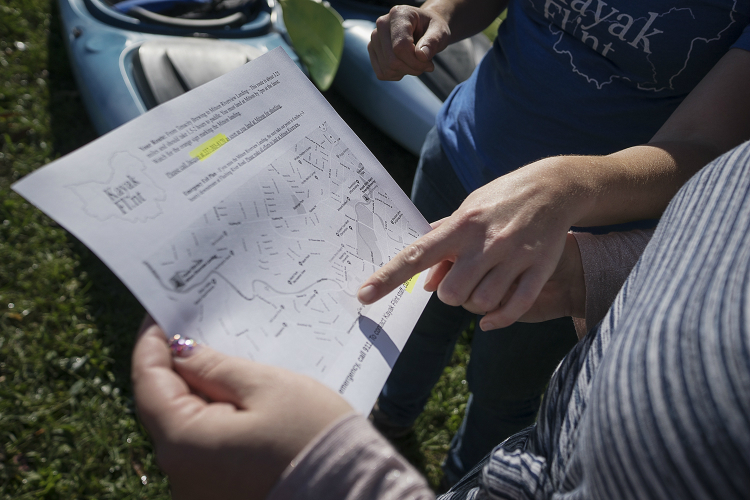 "We’re really happy with the numbers, several people took multiple trips, and other than some low water levels everyone seemed really positive about the experience," said Rebecca Fedewa, executive director of the watershed coalition. "We will definitely be back in the spring ready for a full season of kayaking." 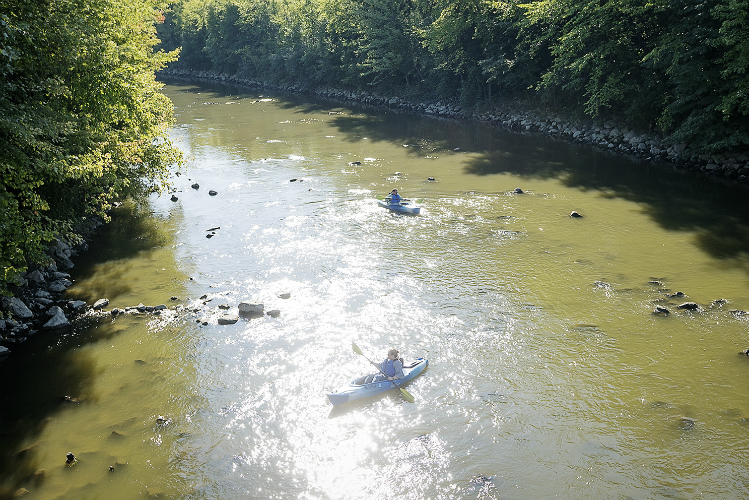 This year's 1.5 mile, about 2 hour route took kayakers through both the urban core of Flint and out into more wild areas. Kayak Flint provided shuttle service to make getting out on the river easy. 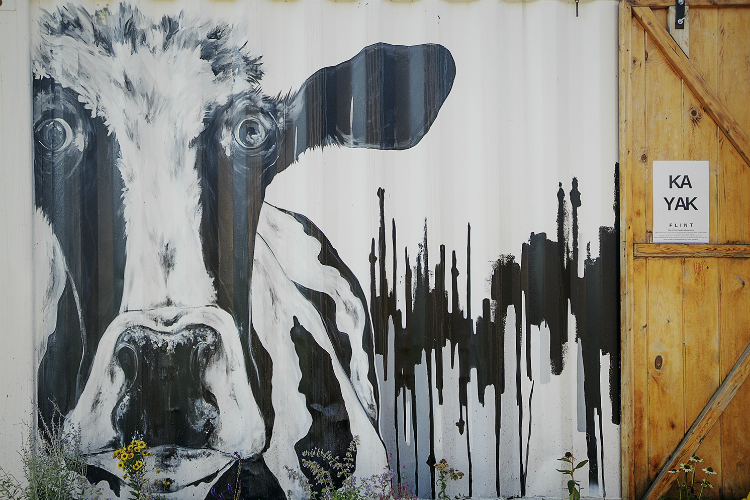 The popup business, located behind Tenacity Brewing, operated Friday through Sunday this year. Fedewa said they will be doing assessments to determine what they can do better next year and how to further expand services offered by Kayak Flint. Kayak Flint was able to lauch with help from sponsors Dr. Bobby Mukkamala, 119 GT LLC, and C3 Ventures. For more information, check out Kayak Flint on Facebook. Take a look at this year's successful operation in the photo story below. 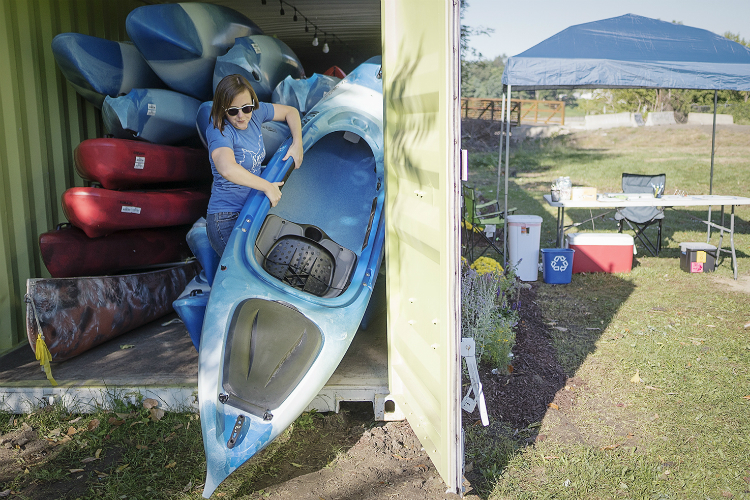 The container is the new home of Kayak Flint, part of the Flint River Watershed Coalition, which rents gear to the public to Kayak down the Flint River. 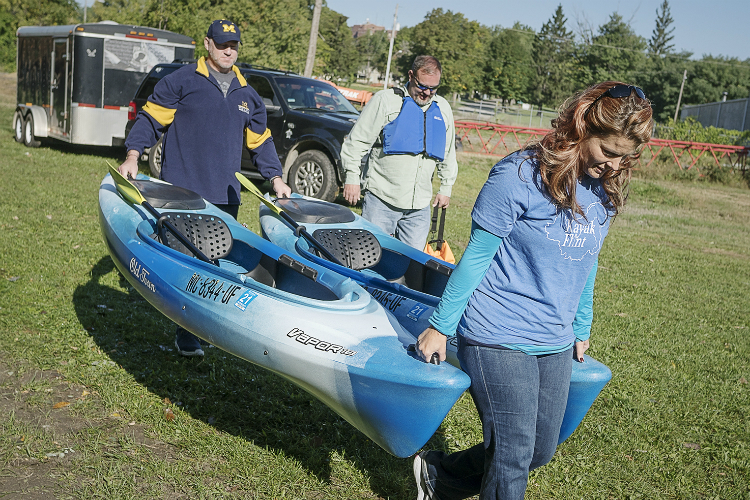 Kayak Flint launched this year as a popup business. Operated by the Flint River Watershed Coalition, it offers public rental and shuttle service. Sarah Scheitler of Flint unloads a kayak for a customer. All proceeds from the business support the coalition and its efforts to maintain and improve the Flint River watershed. Sarah Scheitler, Corridor Alliance manager, reviews the 1.5 mile kayaking route. 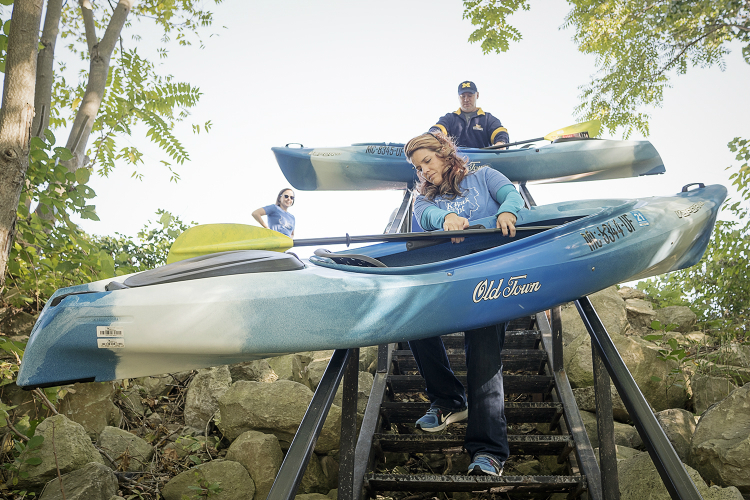 Jaime and Jeffrey Welch slide kayaks down a stairway leading to the Flint River at Kayak Flint, located behind Tenacity Brewing near Grand Traverse and Kearsley streets. Kayak Flint caters to all levels of kayakers, including beginners like Tammy Walsh (front) who took the trip in September with her husband Mike. 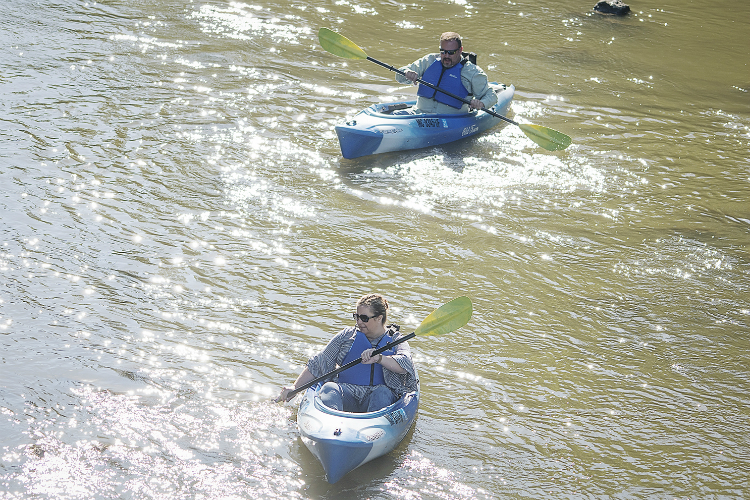 Burton residents Tammy (front) and Mike Walsh make their way 1.5 miles down the Flint River.